In the Northeast, our gardens toe a delicate line of too much and too little moisture. Unlike gardeners in the Southwest or Northwest, we can rarely predict rainfall and, as a result, must be careful about overwatering or underwatering our lawns. Frequent, shallow watering can result in the growth of moss or in the death of newly seeded grasses. However, those watered too infrequently will dry out and die as well. The average rainfall in Hartford is around four inches per month. This moderate amount of moisture makes it tough to calculate how much to water a lawn. 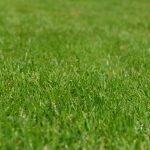 However, these tips can help you make the most of how often–and how much–you water when you perform lawn care in Hartford. Many households have automatic watering systems that are pre-programmed to water the lawn every day or every other day, for anywhere between ten and thirty minutes. This is not ideal, as it allows the surface of the lawn to dampen, but prevents water from penetrating to deeper roots. This can cause rot, fungal growth, and generally unhealthy grass. At the same time, watering by hand is not only impractical, it is next to impossible. To optimize your existing sprinkler, instead consider changing your programming so that it only waters every few days, but for a longer amount of time. A deep soaking provided less often is better than a light splash every single day. You really only need to water your garden two or three days a week, and even less during rainy periods. In many cases, Mother Nature will do all of the hard work for you. Your lawn only needs about an inch of water a week. While you can’t prevent overwatering as a result of heavy rainfall, you can shut off your sprinklers if it’s an abnormally wet week. How will you know how much rainfall you’ve received? Buy an inexpensive rain gauge to monitor it for you. This is a well-known tip for watering both your lawn and for watering your other plants. The air is generally cooler and less windy in the morning. If you water in the middle of the day, water evaporates too quickly or can be blown away by an errant gust. On the other hand, watering at night doesn’t allow enough time for the water to be absorbed into the plants, which can cause disease. The best time to water is between four and ten in the morning. Water should be seeping about six inches into the soil. To ensure you are watering deeply enough, check the soil about fifteen minutes into the watering. Using a shovel, lightly lift up the sod. Don’t do this often–enough to ensure you know how long it takes to give your lawn a good soaking. Otherwise, you risk damaging the roots of your plants and inhibiting future growth. If your lawn resides on a newly developed lot, keep in mind that the soil there can be hard as a result of the prep work and newly applied sod. This means that it will take a deeper soaking to penetrate into the roots of the grass. Pulsating sprinklers, in general, are more effective than oscillating varieties. This is because these sprinklers push water out horizontally at a high velocity. This makes it less likely to be blown away by the wind. However, if your lawn is just beginning to grow, know that oscillating sprinklers work better as the intense pressure provided by pulsating sprinklers can wash away new seeds. Because of the science and specificity behind how much water your lawn actually needs, it can be tough to remember to turn on and turn off your sprinklers at exactly the right time. Invest in a timer that will shut off the water after a specifically designated time so that you don’t have to babysit it. While it can be tricky to navigate the fine lines between over- and under-watering in moderate areas such as Hartford, these tips should let you master your lawn with ease. Remember that moderation and precision are key, and you’ll have a verdant, luscious lawn in no time.